Why would I need self storage in Oxon Hill, MD? There are a variety of reasons why you might need self-storage in Oxon Hill, MD. How much is a storage unit in Oxon Hill, MD? The cheapest storage unit in Oxon Hill, MD is $89.00 per month. What size storage units do you have available in Oxon Hill, MD? In Oxon Hill, MD we have sizes that range from 5'x5' to 10'x30' to suit your storage needs. How much is it for a 5'x5' storage unit in Oxon Hill, MD? The cheapest 5'x5' storage unit in Oxon Hill, MD is $89.00 per month. Situated on the edge of the Potomac River, Oxon Hill is a suburb of Washington, D.C. The unincorporated community is part of Maryland's Prince George's County, which dates back to the late 17th century. Reflecting the county motto "Ever the Same," the Oxon Hill area still maintains strong connections to its history while maintaining development for the future. Oxon Hill is home to a diverse population, a vibrant urban atmosphere and dynamic commercial developments. Minutes from Washington, D.C., and about 35 miles from Baltimore, Oxon Hill also offers quick access to major mid-Atlantic cities. However, you won't need to leave Oxon Hill to access excellent shopping, dining and entertainment. Two of the area's top recreational destinations are Rosecroft Raceway (an equestrian racing facility) and the nine-hole Henson Creek Golf Course. The Tucker Road Athletic Complex is another popular spot for locals, featuring an indoor ice-skating rink. The complex is near the Tucker Road Community Center and the Oxon Hill Recreation Club, a private swimming club that's been in business for more than 50 years. If you enjoy the great outdoors, you'll appreciate the Henson Creek hiking and biking trail. It stretches over 5 miles alongside the Henson Creek, providing a scenic setting right in your community. 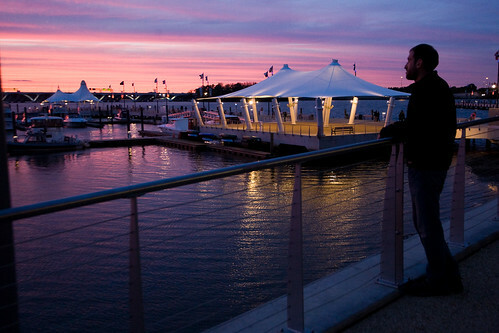 Or visit National Harbor, a major residential and commercial development in Oxon Hill, situated on the Potomac River. It's designed as a live/work/play community, featuring extensive office space, more than 2,000 residential units, a hotel, shopping, dining and entertainment. Thousands of businesses in the government, education and health care sectors reside in Oxon Hill and the Washington, D.C., metropolitan area. The Department of Commerce, National Oceanic and Atmospheric Administration, U.S. Federal Highway Administration and Naval Research Laboratory are the area's largest government employers. American University, George Washington University and the Superintendent of Education provide thousands of education-based jobs in the area. The Oxon Hill area's major health care employers include Med Star and Children's National Medical Center. In the Oxon Hill area, the largest industries include government, trade and transportation, education, health services, and professional and business services. These industries are a good place to start if you're looking for a job in Oxon Hill. Prince George's County Public Schools operates the public schools of Oxon Hill. School options in Oxon Hill include magnet, Montessori and language immersion programs. There are also a number of private schools in Oxon Hill and the surrounding area, including both parochial and secular campuses. Utilities: The primary electricity utility company in Oxon Hill is PEPCO. The Washington Suburban Sanitary Commission is responsible for water and sewer services. Garbage and Recycling: Trash and recyclables are collected on a weekly basis. Yard waste and bulky item collection is also available. Transportation: You have plenty of public transportation options in and around Oxon Hill, including bus and rail routes. If you're looking for the most affordable homes in the Oxon Hill area, you should focus your search north of Interstate 495. The area's most expensive and luxurious housing is typically located south of the beltway. Oxon Hill is one of the comparatively affordable suburbs of D.C., though prices are rising steadily. Our lowest priced units in Oxon Hill, MD average $89.00 per month. 65 people have reserved units in Oxon Hill, MD in the past 30 days. There is 1 location within Oxon Hill, MD's city limits.